Interactive media and the life around it. 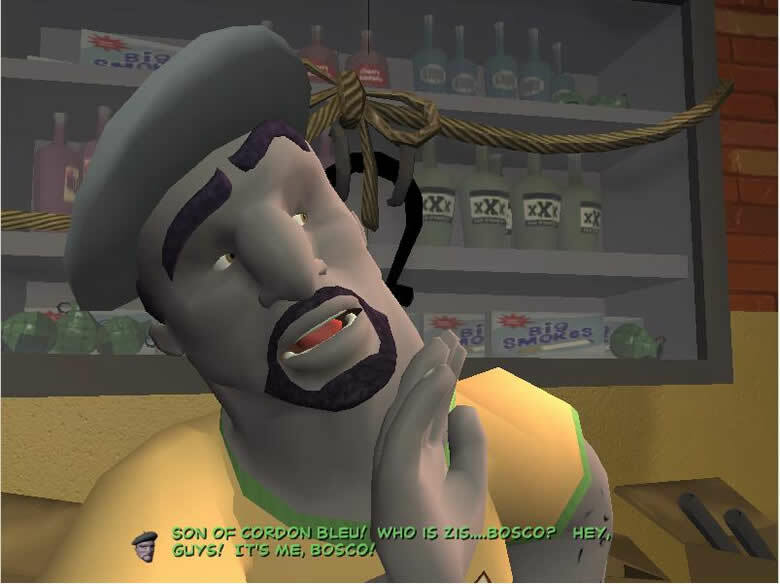 Bosco as a Frenchmen in Sam & Max with subtitles. A few weeks ago Jonathan Blow talked about his incorporation of subtitles into his next title The Witness. He brought to light one of the fundamentals of gaming that is sometimes treated as foregone conclusions: Subtitles. Originally I wasn’t sure whether I wanted to implement subtitles or not. It’s important to me that the game have an overall aesthetic that contains no visual language. I was worried that if we were to draw subtitles for people who don’t speak English, it might ruin this. But, a year ago, I was talking to a friend who has experience in film, and he convinced me that people just understand that subtitles are a different thing, that they are a layer on top of the game or movie or whatever. I’m totally in agreement for steering away from becoming a novella. I grew up on point-n-clicks, but I also agree that subtitles with a voice recording becomes distracting to players at large. With a player capable of understanding the recorded audio, the text distracts from the environment the work is presenting. A fictitious construction placed upon a space that is (usually) meant to present a believable universe. If such a player is perceptive he will figure it out. Consider it a bonus puzzle. I can see his reasoning. The work Blow does is to create an environment that strips away the interface — the distractions — from the piece. He is also making a bet that the design and gameplay do not depend on the voice work in the piece. You experience the world as you experience the world. And maybe that’s a valid choice in some contexts and maybe that’s worth exploring. Regardless of the ability to create a piece that doesn’t require voice work, I can not agree with this position. The tools and ways the hearing impaired navigate the real world aren’t afforded or available in the context of a screen and human interface devices (keyboard, mouse, gamepad). While I haven’t played The Witness, it’s clear that the audio diaries are key parts of the narrative world in the title. Maybe not key to solving puzzles, but are a part of the narrative environment. To exclude them from the work is to discriminate against physical limitations beyond a player’s control. I live by the mantra: Accessibility is accessible to everyone. Elevator access in a building not only helps people with mobility concerns, but also when you need to move a heavy thing around a building. While there’s a balance to strike between resources and output, I feel that the availability of subtitles is one of the few core requirements in interactive media. It helps the hearing impaired, it helps non-native speakers, and perhaps more than can be predicted. I don’t feel subtitles need to be on by default, but subtitles should always be made available.